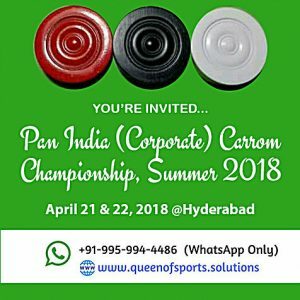 Queen of Sports under the aegis of Hyderabad District Carrom Association will be conducting the first-ever Corporate National Ranking Carrom Tournament. ‘Pan India (Corporate) Carrom Tournament, Summer 2018’ alongside All India Open Carom Prize Money Tournament titled ‘All India Open Carrom Tournament, Summer 2018’ on April 21 & 22 between 7 AM and 9 PM (both days) at GHMC’s Victory Multipurpose Hall, Chadherghat. WhatSscore has been chosen as the technology partner for this prestigious tournament. Both Corporate Carom Ranking Tournament and Open Carom Prize Money Tournament will be administered in a paperless format. Open tournament will be held in the Swiss League format for ranking the players before they fight it out in the knockouts for the prize money . First three slams (break to finish) in each of the tournaments will be recognized through cash reward, memento, and certificate. Subsequent slams will be recognized through cash reward and certificate . Open tournament is common for both men and women players in the singles and doubles event. The highest ranked women player in singles and highest ranked women’s doubles and mixed doubles team in the open tournament leaderboard will be recognized through cash prize, trophy, and certificate . Every player in the tournament will be given a memento and participation certificate along with goodies such as a branded t-shirt, branded cap, and striker. The tournament carries a minimum guaranteed prize money of 2,00,000 INR (Two Lacs INR) for the participants upon the full house at the tournament . The tournament does not have a ceiling on the maximum prize money that can be won. Scoring in Tennis can be weird for beginners. From the moment a game starts, nothing really makes sense. Here is the possible origin behind the tennis scoring system. The origins of the 15, 30, and 40 scores are believed to be medieval French. The earliest reference is in a ballad by Charles D’Orleans in 1435 which refers to quarante cinque (which gave rise to modern 40) and in 1522 there is a sentence in Latin “we are winning 30, we are winning 45”. The first recorded theories about the origin of 15 were published in 1555 and 1579. However, the origins of this convention remain obscure. It is possible that clock faces were used on court, with a quarter move of the hand to indicate a score of 15, 30, and 45. When the hand moved to 60, the game was over. However, in order to ensure that the game could not be won by a one-point difference in players’ scores, the idea of “deuce” was introduced. To make the score stay within the “60” ticks on the clock face, the 45 was changed to 40. Therefore, if both players have 40, the first player to score receives ten and that moves the clock to 50. If the player scores a second time before the opponent is able to score, they are awarded another ten and the clock moves to 60. The 60 signifies the end of the game. Sania Mirza Tennis Academy began its journey in March 2013 with the aim of providing world class tennis training to Indian tennis players and aspirants. Today, the academy provides professional mentoring to its students, and endeavors to meet a greater national responsibility towards the game and its players. 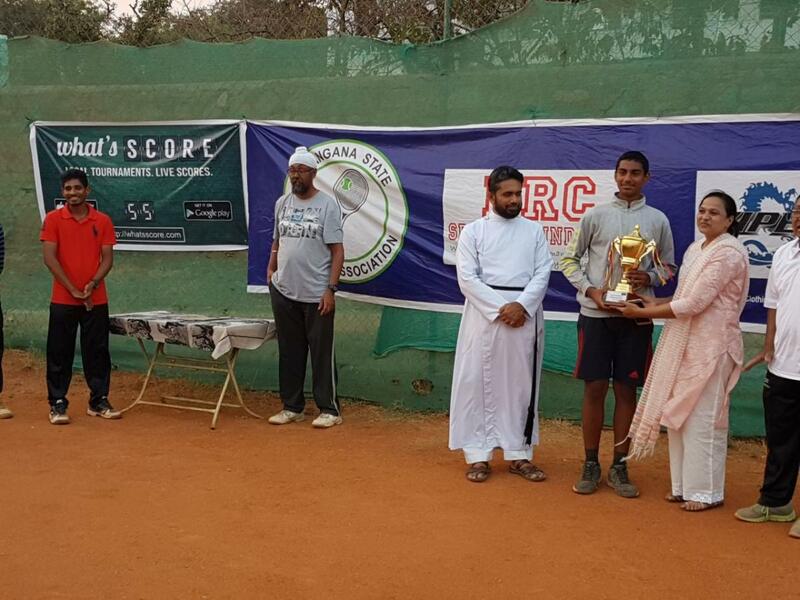 SMTA conducts around 13-15 tournaments in an year and recently in the month of February, SMTA organized a state level tournament in Hyderabad. The SMTA also recognizes rural and underprivileged talent, and selected players are trained at zero expense at SMTA’s World Class facility. 9 Plexi paved Tennis Courts of Grand Slam standard. A well equipped Gymnasium for Physical Training. Separate Dressing Rooms for male and female players with showers and other requisit facilities. Club House with Lounge and Cafeteria. Recently, Sania Mirza launched SMTA Grassroot Level Academy, a project of her mother, for kids aged between three and eight. It is second such project after Sania Mirza Tennis Academy (SMTA) in 2013. Academy has been started just for those kids from the age of two-and-half to about seven or eight year-olds to give them a stepping stone because it will be difficult for kids to go outside the city to a full-fledged academy. The whole concept is to get as many kids as possible to the academy and to make it easy and attractive, kids are going to play with colourful softballs in this academy. WHATSSCORE WISHES HAPPY WORLD TABLE TENNIS DAY!!! What’s the World Table Tennis Day? The WTTD is an event created by the International Table Tennis Federation (ITTF) to celebrate the joys of playing table tennis and promoting the sport. The focus is not so much on competition, but rather on having fun and enjoying the good times with other table tennis enthusiasts. 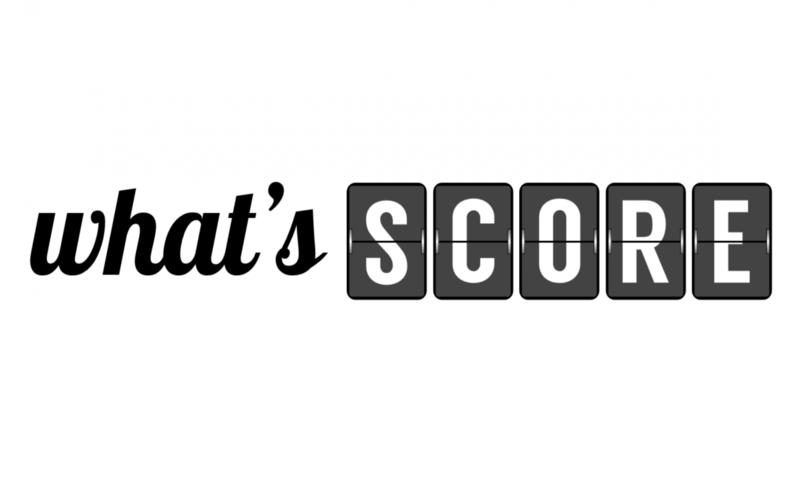 WHAT’S SCORE@ 4th Inter Society Sports League 2018-19. What’s Score @ Global Sports Show 2018,Mumbai,INDIA. Deloitte Global Empowered Badminton Women’s and Men’s Doubles and Singles.